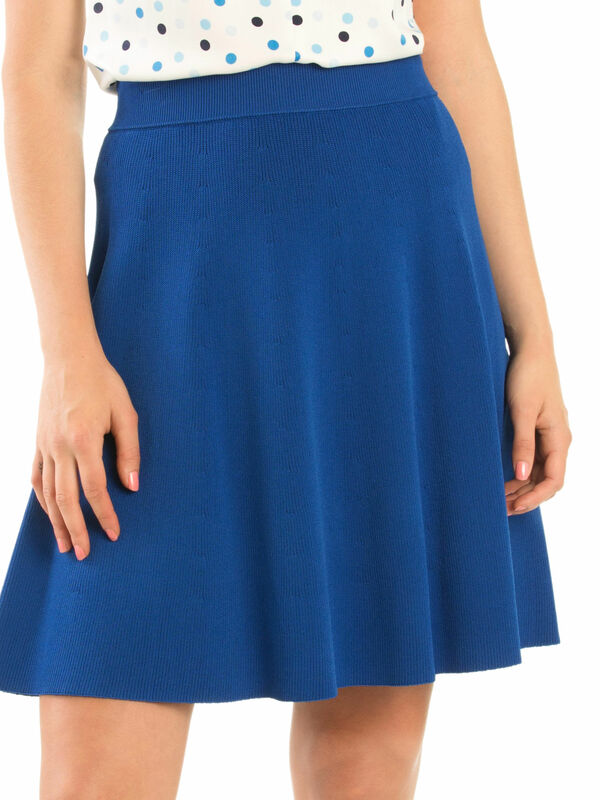 Billie Knitted Skirt https://www.review-australia.com/au/billie-knitted-skirt-royal-blue/RE19SK096.REBLU034.html Combining casual cool with a stunning silhouette, this Billie Knitted Skirt is so much more than your average knitwear piece. The bold blue colour will make sure you stand out from the crowd, whilst the A-line shape gives a truly feminine feel. Can be styled with a lightweight sweater for a casual look, or a chiffon blouse to take the piece to night-time. Worn with Orion Spot Top and Beverley Heels. Combining casual cool with a stunning silhouette, this Billie Knitted Skirt is so much more than your average knitwear piece. The bold blue colour will make sure you stand out from the crowd, whilst the A-line shape gives a truly feminine feel. 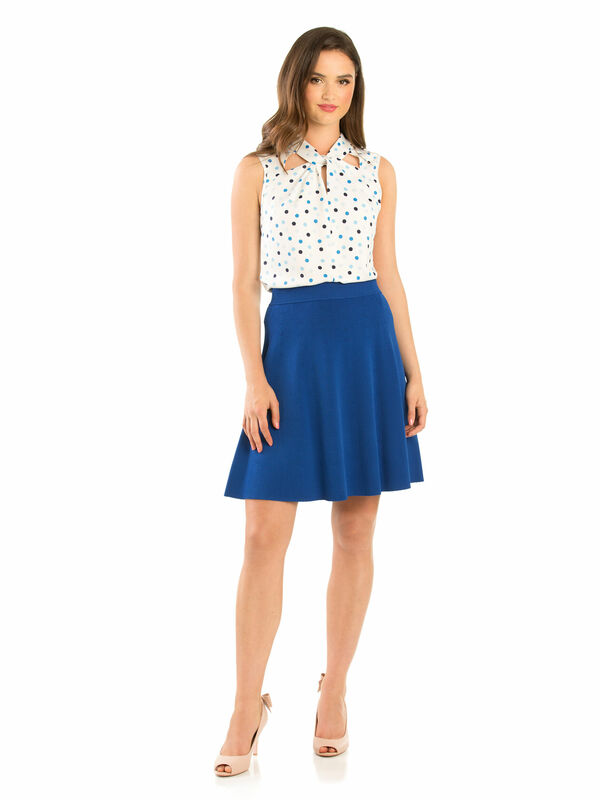 Can be styled with a lightweight sweater for a casual look, or a chiffon blouse to take the piece to night-time. 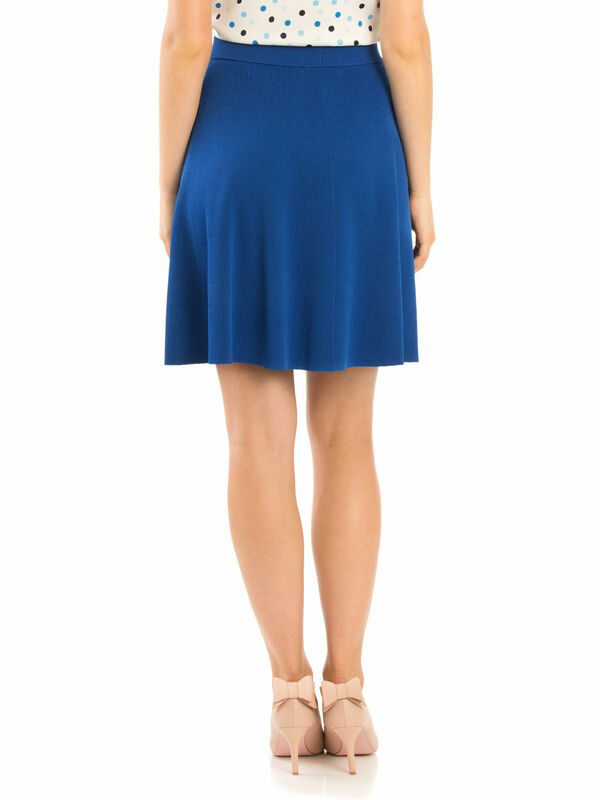 Billie Knitted Skirt is rated 4.8 out of 5 by 5. Rated 5 out of 5 by Bettz8 from More versatile than I first thought This skirt is going places with me. Its amazing quality and flows beautifully when on. The colour is deep and strong yet can be matched with many tops and other colours. I tried it in store and tried so many tops with it and they all worked. Great for travelling for work and casual use. Love it. Rated 5 out of 5 by countess from style and colour range is amazing Impressive style and love the colour range.You can mix and match so many different outfits together.Comfortable as well.You make the clothes look fun it makes me happy to wear them.